FAST, RELIABLE, AND PROFESSIONAL SERVICE! Versa Glass offers a variety of glass for your business. Replacement Window Glass Guaranteed if a replacement breaks within 12 months, Versa Glass will replace the glass. Versa Glass technicians are specially trained to diagnose and repair imperfections in any glass surfaces. We have the tools determine whether it can be repaired or needs to be replaced. Our Technicians can repair and replace any glass in your home. Instead of replacing an entire door or window, we can repair and protect even the smallest panels of glass. Get your panes fixed today! Mirrors and other glass products with window tint film and glass protectant from Versa Glass. You can have them applied to new or existing windows, mirrors, tub enclosures and shower doors. We make our best effort to understand your needs in every situation. When it’s time to get to work, our service technicians will take care of your home, from protecting your carpets to cleaning up the dust. 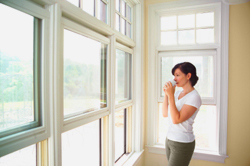 Call now 1-855-837-7245 or fill out our contact form and we’ll help fix your panes today! Versa Glass Co. - © 2019 All rights reserved. Each shop independently owned and operated.